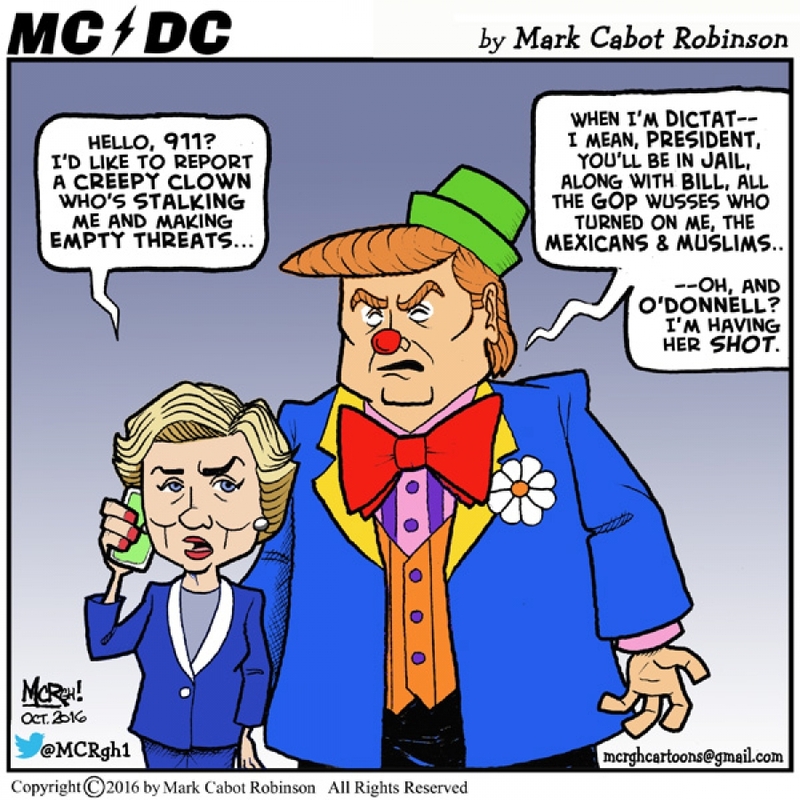 Some political cartoons and memes are still being created. 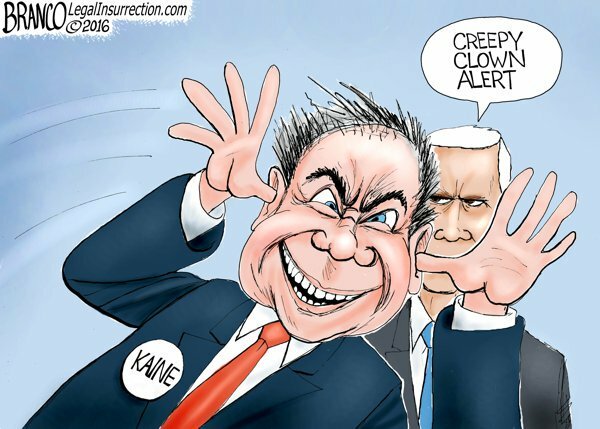 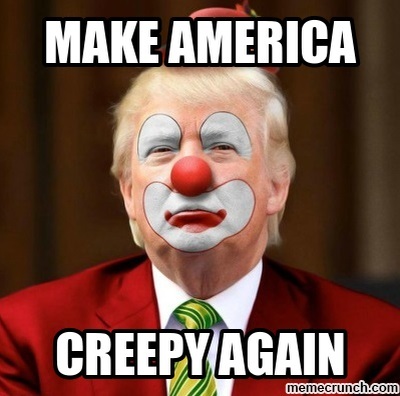 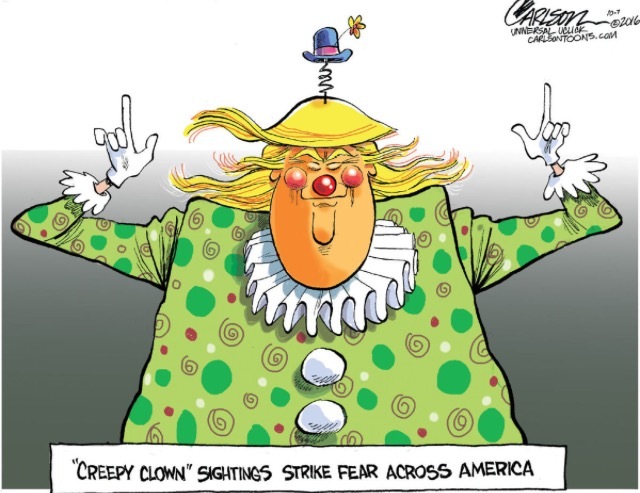 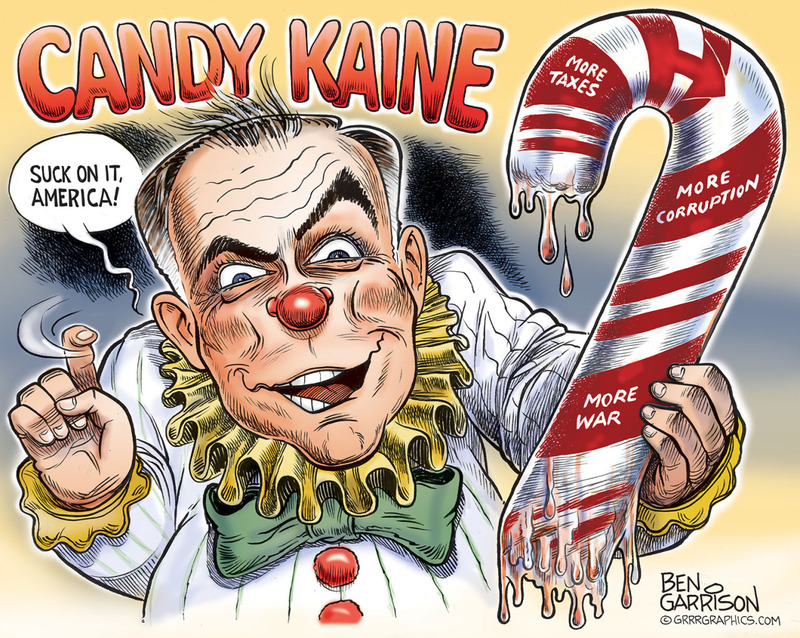 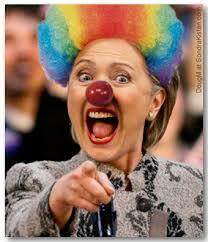 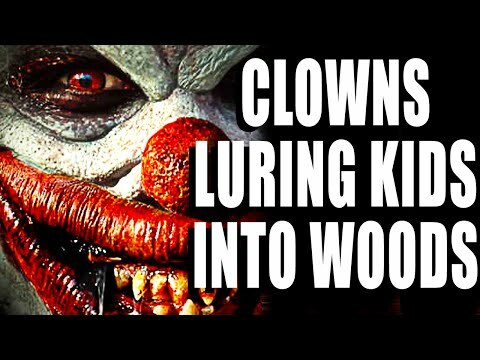 Hopefully, this mixing of creepy clowns and politics is over soon after Halloween and the Election. 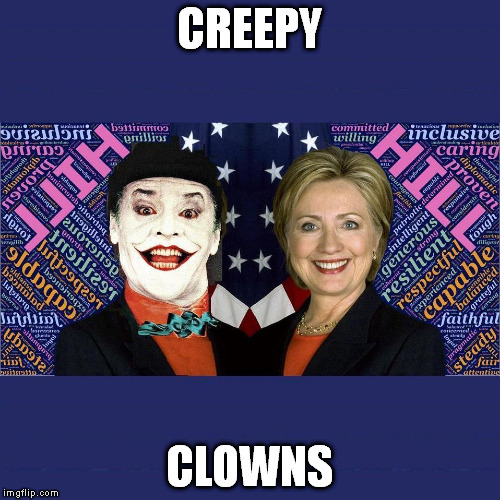 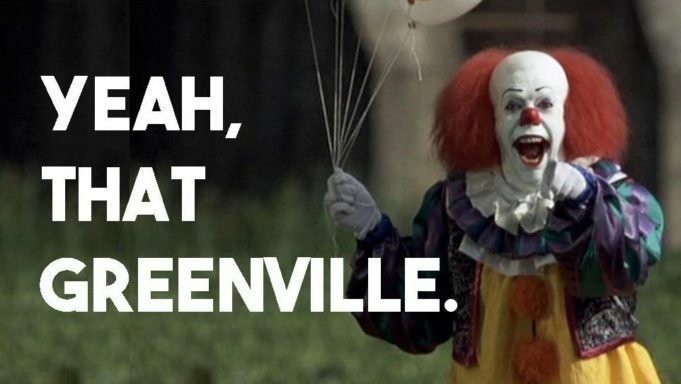 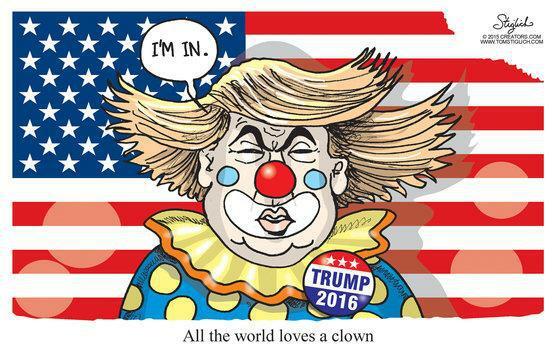 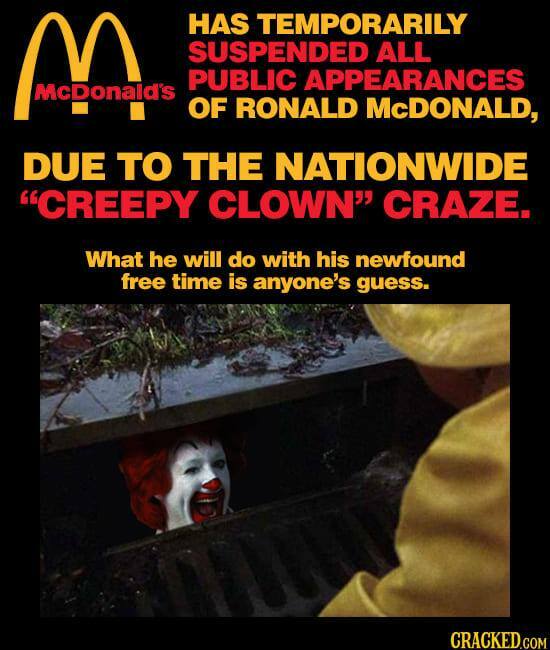 Clown memes and aligned visual jokes have about run their course in 2016. 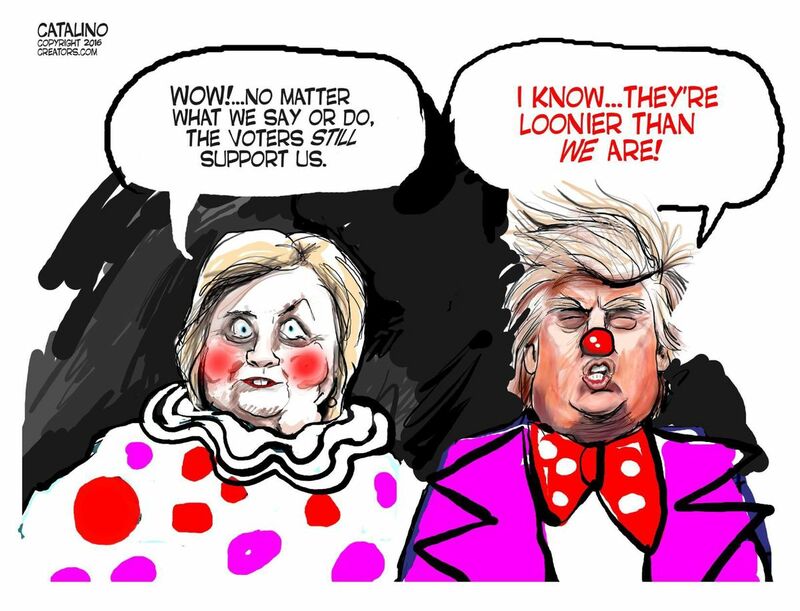 Jokers to the left and clowns to the right. 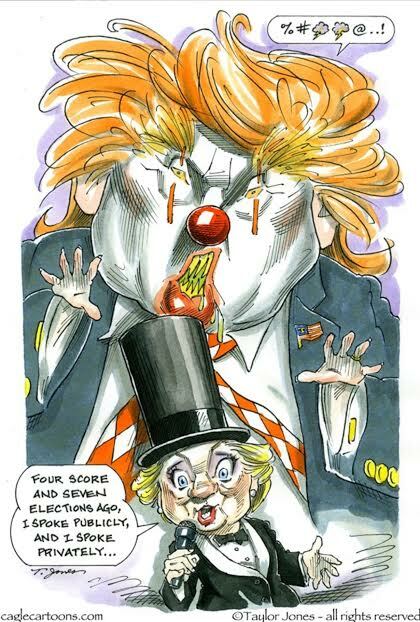 Clinton’s “17 US intelligence agencies” may be the biggest, most immediately disprovable wopper ever intentionally made during a debate. 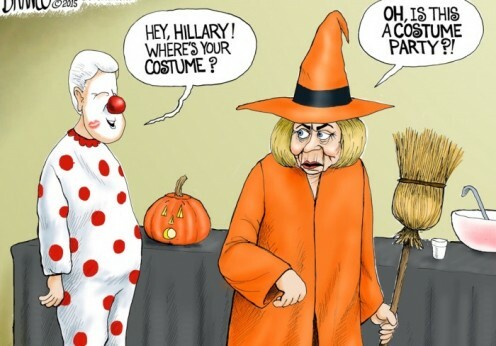 It is now quite clear that it has gotten very personal between Assange and Clinton, and if the latter is elected president in less than 3 weeks, that drone strike on Julian which Hillary does not remember “joking about”, may suddenly materialize.